Bolivia is home to some of the most dramatic scenery on earth. It is a country of impressive extremes, home to the highest capital city in the world, La Paz, and the largest salt flats on earth, the Salar de Uyuni. Half the country, bordering with Peru, is comprised of Andean Valleys and the Altiplano (Highland Plateau). The Andes sees a distinct dry and rainy season. The other half of the country, bordering with Brazil, is composed of the lowlands, which consists of rainforest, flooded forest and Savannah. Bolivia’s culture is no less diverse than its weather and landscapes, with many colorful festivals and religious processions taking place throughout the year that are also worth taking into account when planning a trip to Bolivia. January to March falls in rainy season in the highlands (Dec-Mar), with January and February typically the wettest months of the year. In the rainy season, temperatures are milder in the highlands and more humid in the lowlands. In the peak of the rainy season, the salt flats of Uyuni have enough water to form a breath-taking mirror-like reflection. It is not possible to cross the Salar in 4×4 when there is a lot of water, but you’ll still get spectacular photos. In January, Alasitas is a month long event to honor Ekeko, the Aymara God of abundance, and has been declared a UNESCO Intangible Cultural Heritage of Humanity. Celebrated mostly in La Paz, people have shamans bless miniature versions of goods they would like to give someone else, and then it is said the recipient will get the real object the following year. Generally falling in February, Carnival is a countrywide celebration of parades, dances, and music the week before lent in February. Oruro holds an especially fantastic carnival and the city’s celebration has been declared a UNESCO Intangible Cultural Heritage of Humanity. Fiesta de la Virgen de Candelaria is a colorful dance festival that celebrates the patron saint, the Virgin of Candelaria, on the shores of Lake Titicaca in February. The Pujllay Festival of Tarabuco is a two day fiesta in March to commemorate and celebrate the battle that freed the area from the Spanish forces. The president of Bolivia attends the festival in Tarabuco – outside of Sucre – and it plays an integral part in preserving indigenous traditions. The Baroque Music Festival is bi-annual event (the last one was held in 2018) and features over 800 musicians from Europe and Latin America in 100 concerts. Jesuits brought their European instruments like violins, violas, flutes and harpsichords to Bolivian indigenous jungle communities, who adapted to them and became talented baroque and renaissance musicians, a tradition preserved to the present day. The festival is held outside of Santa Cruz. April sees the start of the dry season in the highlands (Apr-Nov). The dry season is the most popular time of year to travel, despite the fact the weather is notably cooler in the highlands (including Uyuni and La Paz), especially at night. With dry weather, the skies tend to be perfectly clear with strong, bright sunshine, which makes for an impressive backdrop to photographing Lake Titicaca or the expansive white hexagonal shapes of salt on Uyuni. Semana Santa (Holy Week) is a week of holy festivities that falls in March or April (the exact date is different every year). The whole country partakes, but it is especially celebrated in Copacabana by Lake Titicaca where pilgrims from across the country head to the city on foot. Good Friday of Semana Santa is a national holiday – expect shops to be closed. Fiesta del Gran Poder in La Paz in May commemorates an ancient religious painting of the Father, Son and Holy Spirit with Mestizo features – a true example of Bolivia’s mix of Catholic and Indigenous beliefs – when over 20,000 dancers in colorful costumes descend on the city’s streets. Corpus Christi is an important religious festivity in May and is recognized with a national holiday across the country. Expect shops to be closed, many religious services, and potentially some colorful dances. July – September fall in the peak of Bolivia’s dry season in the highlands (Apr-Nov). The dry season is the most popular time of year to travel, despite the fact the wather is notably cooler in the highlands (including Uyuni and La Paz), especially at night. The coolest months of the year are July-August. With dry weather, the skies tend to be perfectly clear with strong, bright sunshine, which makes for an impressive backdrop to photographing Lake Titicaca or the expansive white hexagonal shapes of salt on Uyuni. Aymara New Year celebrates the start of a new agricultural cycle, the winter solstice, and the Aymara new year. Each year colorful ceremonies take place across the Altiplano, especially in Tiwanaku, in June. October sees the weather start to change, as rainy season begins to arrive towards the end of the year (Dec-Mar). In the rainy season, temperatures are milder in the highlands and more humid in the lowlands. With enough rain, a build up of water forms a breath-taking mirror-like reflection on Uyuni. It is not possible to cross the Salar in 4×4 when there is a lot of water, but you’ll still get spectacular photos. Día de Todos los Disfuntos (All Souls Day) takes place in November, when Bolivians visit their deceased loved ones at cemeteries and decorate their graves with flowers and the favorite foods of the departed. Expect shops to be closed. Christmas is celebrated in December. On Christmas Eve and Christmas Day locals often celebrate by lighting fireworks. Shops close for this holiday period. Bolivia is a year-round destination. 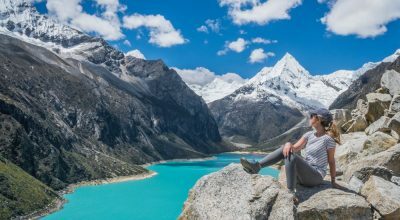 With varied climates, the weather in Bolivia varies significantly from region to region at any given time of year and the best time to travel will depend in part on which regions of the country you plan to visit. 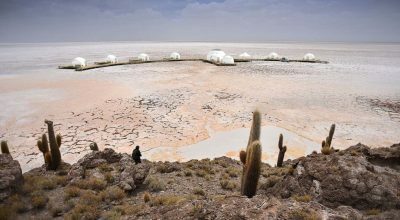 The dry season in the highlands and Uyuni (Apr-Nov) is generally considered overall the best time to travel; while temperatures are much cooler, it is usually dry and sunny. 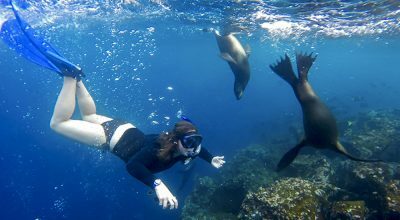 The eastern lowlands, including the Amazon and Santa Cruz, are warm year-round. In the Andes and higher altitude regions like the salt flats of Uyuni – Bolivia’s main tourist destination – there is a dry and rainy season. The dry season is from April – November. There are notably lower temperatures in the dry season (especially around July-August) than in the warmer rainy season, when the Salar can get very cold, particularly at night. In the dry season, the Salar forms vast expanses of crystalline salt pentagons which creates an enormous, surreal white landscape. The rainy season is from December – March, when a thin layer of water builds up on the Salar de Uyuni allowing it to take on a mirror-like reflective quality. It is not possible to cross into the middle of the Salar by 4×4 in the rainy season, so routes are adapted to photograph the Salar from the edge. The Salar is a photographer’s dream in either season. Bolivia’s dramatic geographic contrasts, rich history and diverse ethnic makeup results in a colorful array of festivals. Catholic traditions and pre-Hispanic customs combine to produce unique cultural events – there are plenty of events to plan your trip around, or to coincide with while you are traveling. The indigenous population makes up over 50% of Bolivia’s local people and the population is rarely-changing. This offers the unique opportunity to view remnants of ancient civilization embodied in life today through numerous Bolivia festivals that take place throughout the year. Similar to the neighboring Peru festivals, Bolivia’s festival culture dates back as far as its ancient origins, long before Christ. The history is evident in the festivals of today, with a mix of Spanish and Indigenous religion and culture portrayed during celebrations. Processions, large and small, often follow the same pattern, with dancers in costume and images of Saints, Madonnas and Christ carried in floats around the town. Our Bolivia festivals calendar is a free downloadable PDF that lists major Bolivia festivals and their dates. We have featured important Bolivia festivals and key national holidays when travelers can expect shops to be closed, and the rainy season which most affects the Salar de Uyuni salt flats. There are of course many more Bolivia festivals than the key ones included on our calendar, and our expert travel planning team can recommend the best time to travel to Bolivia according to your interests. 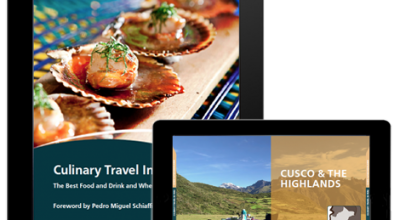 Visit Bolivia on a tailormade luxury trip, and attend some of the country’s best festivals. Our expert travel planners can advise on specialist guides and arrange an unforgettable trip to take in the cultural festivals of the region.